Our fascination with the music of the medieval era continues to grow and grow. 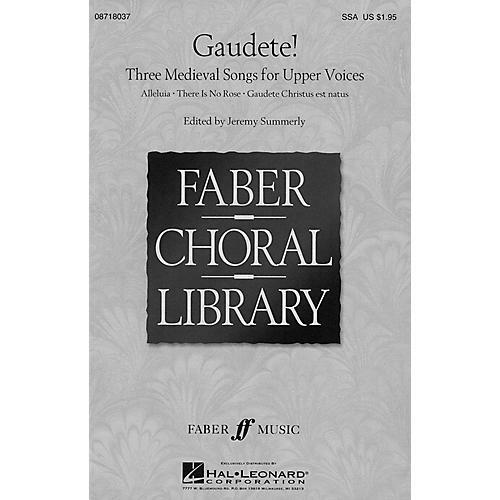 This collection with contemporary notation and helpful performance options offers the modern choir an opportunity to celebrate the music of the past. Includes: Alleluia (Montpellier Codex), There is no rose (Trinity Roll), Gaudete Christus est natus (Piae Cantiones). Available: SSA a cappella.